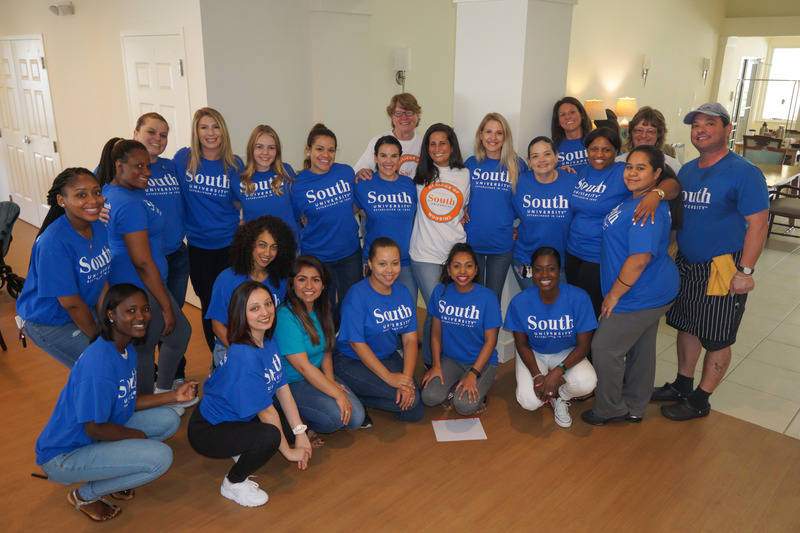 The South University, West Palm Beach chapter of the National Student Nursing Association (NSNA) recently volunteered to prepare meals for families of patients being treated at local hospitals. The students volunteered as part of the ‘Chef for A Day’ program at Quantum House, which provides a place to stay for families of patients at St. Mary’s Medical Center and other area hospitals. The student volunteers planned the menu, went grocery shopping, and prepared the food for 50 people. The brunch included an omelet station, protein bar, waffle station, fresh fruit and sandwiches. During the meal, the students spent time getting to know the families at Quantum House. The students plan to volunteer throughout the year during ‘Chef for A Day’ opportunities at the facility. © 2017 South University. All rights reserved. Our email address is materialsreview@southuniversity.edu. South University, West Palm Beach is licensed by the Florida Commission for Independent Education, License No. 2987.